Earlier this year, Oki Sato, head of the Japanese studio Nendo, was named Designer of the Year by Maison & Objet. 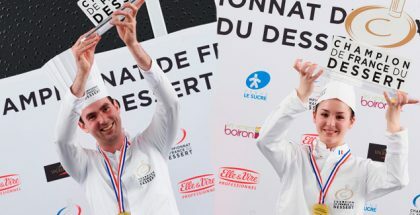 He created nine pieces of chocolate measuring 26 x 26 x 26 cm on the occasion of the Paris exhibition. All were created with the same base ingredient but in different shapes, which slightly alters the flavor. 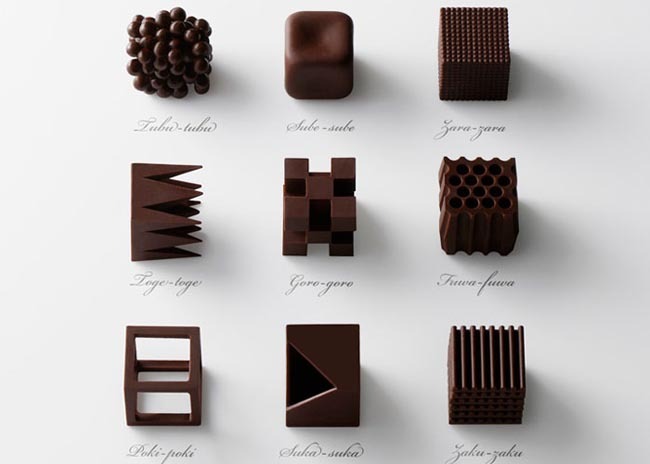 Each of the figures was designated a Japanese term used to describe texture: “Tubu – Tubu” (small chocolate droplets), “sube-sube” (smooth corners and edges), “toge – toge” (sharp points) “goro – goro” (fourteen small connected cubes), among others. 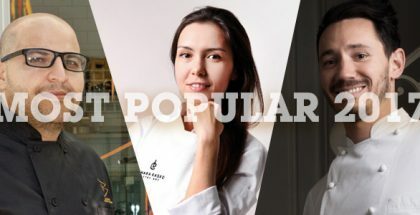 A surprising project that demonstrates that the taste of chocolate varies not only depending on the type and percentage of cocoa or ingredients added, but also in terms of their shape and texture.